We’re excited to host Akachi Ogbonna at this month’s meetup. 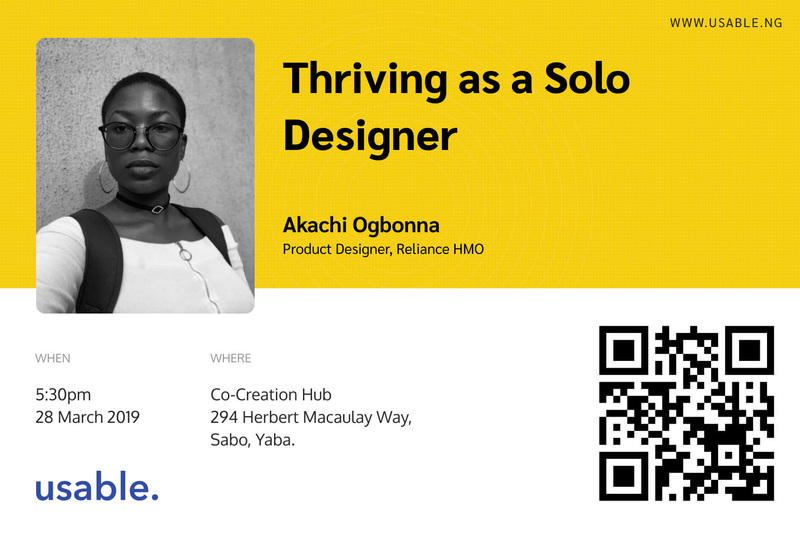 Akachi is a designer @ Reliance HMO and she’ll be speaking on how to thrive as a Solo designer. Venue: The 6th Floor @ CcHUB. 294 Herbert Macaulay Way, Yaba.